(17/P27) TRENTON – State Park Police and Division of Fish and Wildlife conservation officers have logged more than 130 arrests in cases involving illegal dumping in state parks, forests and wildlife management areas since the launch of the Department of Environmental Protection’s “Don’t Waste Our Open Space” campaign three years ago this week, Commissioner Bob Martin announced today. During the past year, State Park Police and conservation officers have investigated and filed charges in a wide variety of cases, including the dumping of drums containing dry-cleaning chemicals along the tow path at the Delaware & Raritan Canal State Park; a hauler who took trash from a federal park site in Philadelphia and dumped it in a Gloucester County wildlife management area; and the dumping of a couch at Allamuchy Mountain State Park in Sussex County, an incident (shown at left) captured on video by a remote camera. The “Don’t Waste Our Open Space” campaign is a coordinated effort of the DEP’s Division of Parks and Forestry, Division of Fish and Wildlife, Compliance and Enforcement program, Division of Solid and Hazardous Waste, Water Resources Management program and the Natural Lands Trust. The campaign stresses strict enforcement of illegal dumping laws while raising awareness of the problem through outreach and education. State Park Police and Conservation Officers are aided by strategically placed motion-sensor cameras that are in use in select state parks and wildlife management areas to capture incidents of illegal dumping. 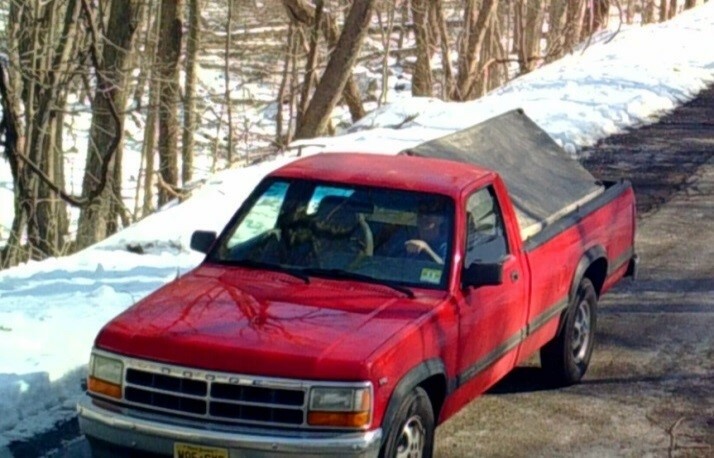 Robert Cline, 53, of Paterson, Passaic County, was charged with dumping solid waste, not following posted signs and not using a proper recycling container after he admitted dumping a couch on Waterloo Valley Road in Allamuchy Mountain State Park. Cameras recorded the illegal dumping incident. Timothy Liesch, 29, of Readington Township, Hunterdon County, pleaded guilty to dumping debris from a remodeling project at the South Branch Wildlife Management Area in Hunterdon County in July 2016. He paid a $1,500 fine and $1,064 restitution for debris removal. Anthony Bumbolo, 28, of Stockholm, Sussex County, paid $2,000 in fines after pleading guilty to dumping several bags of household trash and debris on Sparta Mountain in Ogdensburg, and on Hamburg Mountain in Hardyston, both in Sussex County, in April 2016. Bumbolo paid a $1,500 fine for the Hamburg Mountain incident, a $500 fine for the Sparta Mountain incident, and removed the debris from both locations. Joseph Lewis, 43, of Monroe Township, Gloucester County, was charged with dumping refuse on a wildlife management area, damage to vegetation, and two additional counts of dumping sold waste on state property and private property after conservation officers found a trash pile in the Winslow Wildlife Management Area that had originated at a federal park site in Philadelphia. The case is pending. Thomas M. Smith, 20, of Stillwater Township, Sussex County, pleaded guilty to dumping a boat and trailer on the Paulinskill River Wildlife Management Area in Hampton Township, Sussex County, in August 2016. He paid a $1,500 fine and $500 restitution for removal and disposal of the boat and trailer. Alex Dzyak, 23, of Columbia, Warren County, paid a $1,500 fine and removed trash, car parts and other debris after pleading guilty to dumping the items at the Columbia Lake Wildlife Management Area in Knowlton Township, Warren County in July 2016. Gilmer Castillo, 28, of Hamilton, Mercer County, is charged with illegal dumping of hazardous chemicals after four barrels containing trichloroethylene (TCE), a chemical used in dry cleaning, were discovered on the Delaware & Raritan Canal tow path on Duck Island in Hamilton Township, Mercer County. He faces fines exceeding $25,000, and other penalties. The case is pending. Reginald Casterlin, 47, of Hardyston, Sussex County, pleaded guilty to illegal dumping in connection with the disposal of household trash on Goodale Road in Andover, also in Sussex County. He was ordered to pay $3,099 in fines and court fees. Gregory Ensel, 34, of Newton, Sussex County, pleaded guilty to transporting and disposing of solid waste after illegally dumping general household debris near Old Stuyvesant Road within Allamuchy Mountain State Park. Ensel was ordered to pay $700 in fines and serve 90 days of community service. Emmanuel Rodriguez, 22, of Clementon, Camden County, was fined $1,000 plus court courts after admitting he dumped a pile of debris that stood four feet tall and was spread over 12 feet in southern New Jersey’s Wharton State Forest. The incident occurred in January 2016. Michael Gallagher, 20, of Mount Olive Township, Morris County, pleaded guilty to a downgraded offense and paid $133 in fines and court fees after he was initially charged with illegally dumping a motor vehicle on Waterloo Valley Road in the township in May 2016. Gallagher removed the vehicle. 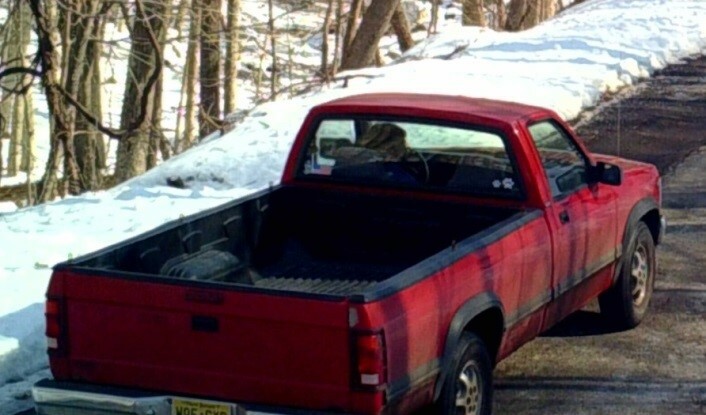 Joseph Lane, 28, of Pemberton, Burlington County, was charged with illegally dumping a pop-up camper off Mount Misery Road in Brendan Byrne State Forest in May 2016. State Park Police traced the camper to its previous owner in Brick, who told detectives he sold the camper to Lane. Lane admitted owning the camper. The case is pending. Randall Hutchinson, Jr., 29, of Mine Hill, Morris County, was ordered by Superior Court to pay $1,098 in fees, work 300 hours of community service and serve three years of probation for extensive illegal dumping in October 2015 at Stokes State Forest in Sussex County. Hutchinson Jr. also will undergo random drug tests. He faces a minimum 90-day jail sentence, and additional fines and fees if any of the court’s requirements are not met. Garrett Bullock, 54, of Browns Mills, Burlington County, is charged with illegal dumping and illegal transportation of solid waste after authorities found a boat abandoned in the Whites Boggs area of Brendan Byrne State Forest. The case is pending. During the course of the campaign, park police and conservation officers have found a wide range of illegally disposed waste, including construction debris, old televisions and computers, car parts and tires, and even entire vehicles. 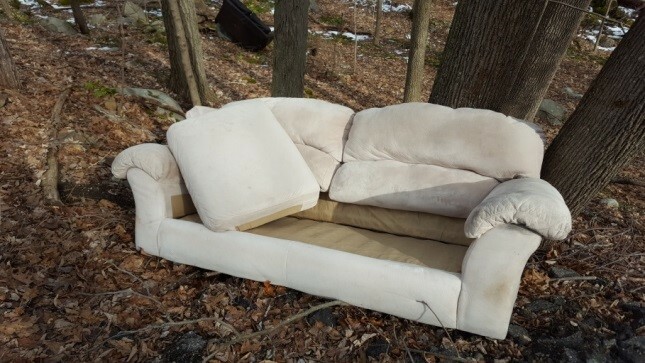 In addition to developing “Don’t Waste Our Open Space,” DEP has expanded its expertise to assist government agencies in urban areas crack down on illegal dumping. For example, in 2015 partnered with the Passaic Valley Sewerage Commission (PVSC) to install surveillance cameras in the PVSC’s service area of Bergen, Essex, Hudson, Passaic and Union counties. The partnership has resulted in the issuance of numerous civil penalty actions from DEP, with dozens more anticipated. The PVSC’s efforts to curb dumping date to at least 1998, when the commission created a River Restoration Program that has resulted in the removal of more than 12,000 tons of debris from Newark Bay, the Passaic River and its tributaries. “Don’t Waste Our Open Space is a vital tool for the DEP to pool resources, pulling together the numerous resources available through the DEP to work collaboratively to help keep our parks, forests and wildlife management areas free of household trash, dumped vehicles, hazardous waste and other types of garbage,” said Ray Bukowski, Assistant Commissioner for Compliance and Enforcement. The DEP launched “Don’t Waste Our Open Space” due to reports of increased dumping, and has initiated investigations on state lands in all 21 counties. Depending on the nature of the dumping, those charged could face civil and/or criminal complaints. 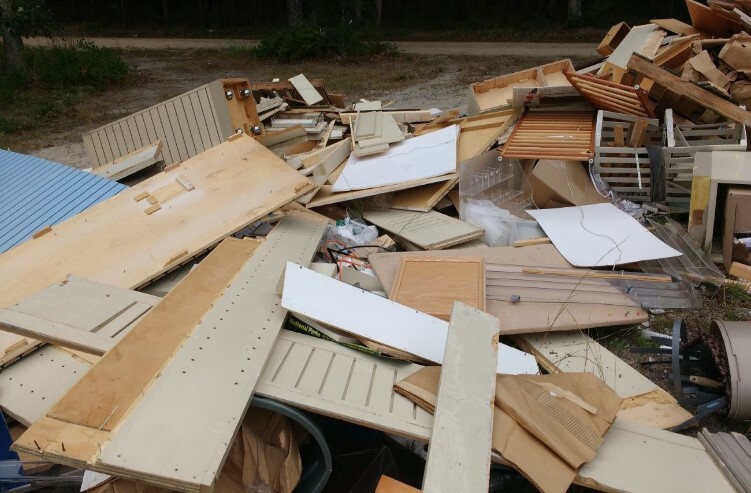 Penalties for illegal dumping in state parks and in wildlife management areas will include criminal fines of up to $5,000 per violation and civil penalties of up to $1,500 per violation. In addition, the state is authorized to seek stiffer penalties for major violations through the Solid Waste Management Act. The DEP owns and manages more than170 state parks, state forests, wildlife management areas and other natural lands and preserves that encompass some 813,000 acres of open space, including woodlands, grasslands, freshwater and saltwater marshes, and mountainous areas.